Our Lady Queen of Martyrs’ observance of Good Friday with Stations of the Cross was featured on NY1. 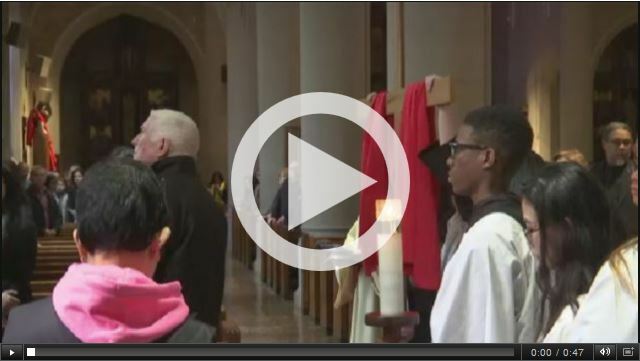 The 47-second video segment has comments by Bishop Paul Sanchez and altar server Gabriella Kueller. Watch the video on NY1, which aired on Friday, March 25, 2016.